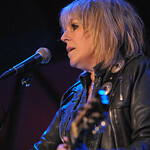 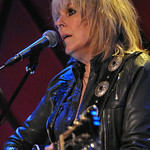 Lucinda Williams is in an inspired place in her writing and performing. 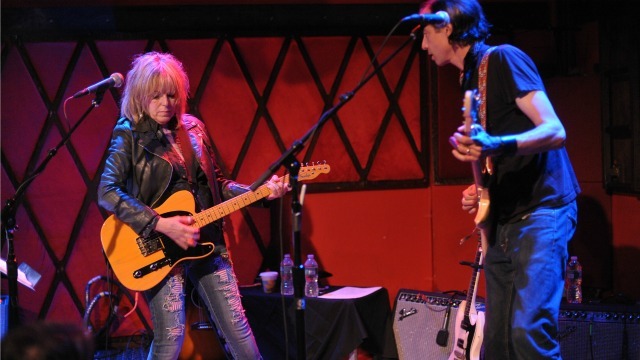 In fact, the recording sessions around her new double album, Down Where the Spirit Meets the Bone, actually created enough material for a third album coming next year! 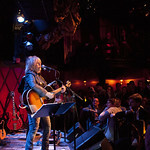 Lucinda brought along guitarist Stuart Mathis for this FUV Live set at Rockwood Music Hall, and the room was packed with FUV Marquee Members, psyched to see one of the greats in such a cool, rock club setting. 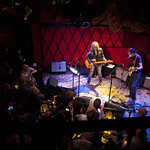 The duo set-up was far from low key with Mathis delivering some vibe-y, rocking, intricate solos throughout and Lucinda in fine, soulful voice. 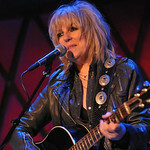 During a mid-set interview, Lucinda told some stories from the recording sessions, discussed her musical influences and shared who she would invite over for a dream dinner party.